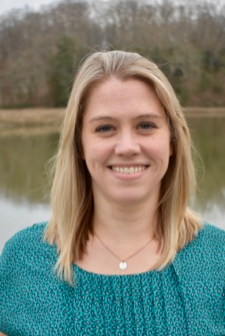 Interests: Ecotoxicology of harmful algal blooms. My research group investigates the ecology, chemistry, and ecotoxicology of bioactive compounds synthesized by harmful algal blooms in freshwater, estuarine and marine environments. I am interested in 1) how we impact harmful algal blooms (HABs) and the production of their associated toxins, and 2) how they, in turn, contaminate our ecosystem, alter aquatic communities or ecological function, and/or threaten public health. More specifically, I am interested in anthropogenic and natural drivers of HABs and toxin production, the persistence, distribution, and fate of the natural toxins, food web transfer and biotransformation, and the allelopathic or toxic effect of these compounds on organisms and ecosystems. To support these interests, I develop analytical methods and tools (e.g., UPLC-MS/MS) and utilize in-situ oceanographic instrumentation for such goals as explorative research, resource management, and evaluation of human risk. With an apparent regional and global increase in the frequency, expansion, and intensity of harmful algal blooms (HABs), there is an urgent need to 1) better understand environmental factors that promote the production, accumulation, transport and degradation of algal toxins, 2) characterize emerging HABs and phycotoxins, 3) develop tools to detect algal toxins in seafood and drinking water supplies, and 4) predict how HAB dynamics and toxicity might be altered by expanding coastal development and climate change. Our interdicisplinary research team, therefore, investigates multiple taxonomic groups (dinoflagellates, cyanobacteria, and diatoms) and their phycotoxins in coastal watersheds, along the freshwater-estuarine-oceanic gradient, pushing HAB research into the direction of multiple stressors, multiple HABs and toxins, all acting on an interconnected system in a changing world. I am looking for motivated graduate students to join my research group, starting Fall 2020. I welcome students to contact me with similar research interests and a background in environmental chemistry, ecology, environmental/aquatic science, biochemistry or ecotoxicology. If you are interested in working with me, please send me an email with your resume/CV, a brief description of your research interests, unofficial transcripts, and GRE scores (if available). Some immediate research topics I am interested in exploring include emerging toxins, toxin production and trophic transfer, impacts from nutrient pollution and climate change, co-occurring HABs/phycotoxins, and drinking water/seafood safety and sustainability. Please refer to my attached CV and Lab Group Page for more information regarding current and completed research projects.